Not only can you eat a fabulous, authentic Lebanese meal at Neomonde Café and Market, but you will be overwhelmed by the warm personality and welcoming atmosphere of the restaurant. Neomonde has been operating since 1977 and opened its third restaurant in North Raleigh last year. 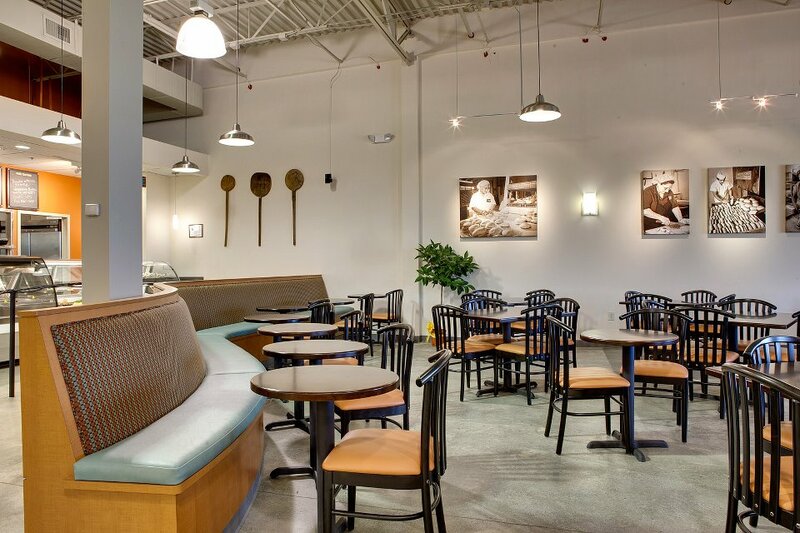 If you’re looking for healthy, wholesome food, Neomonde Café and Market is the answer. The Saleh family would love for you to enjoy a meal and join them for a special event at their newest location on Strickland Rd. Help this local restaurant celebrate its one year anniversary on December 1, 2012, 11am-9pm. Ararat Import Export Company began by launching the original pomegranate wine cultivated in Armenia. Since introducing pomegranate wine to the United States in 2003, the company offers beer, wine and spirits from all over the world. 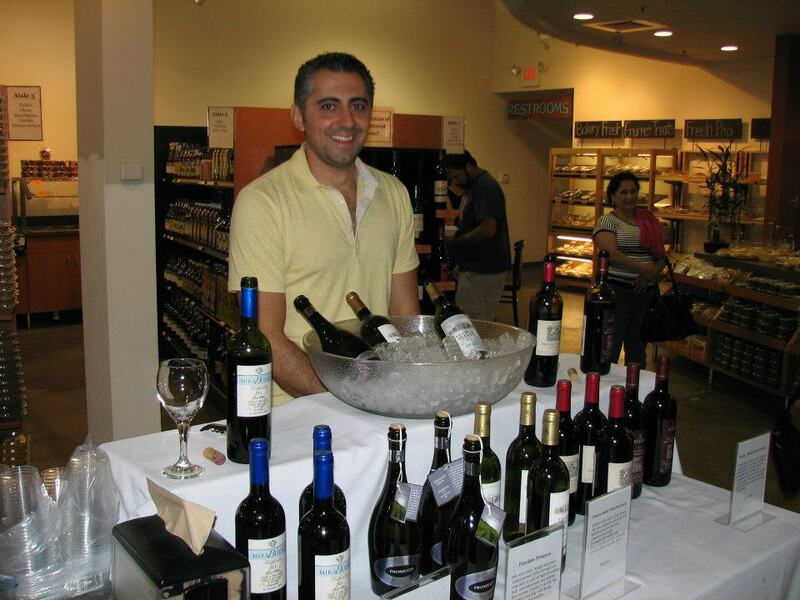 You will have the opportunity to try a variety of wines during the event. Headquartered in Fuquay-Varina, Terrible Creek Beekeepers specializes in beekeeping as a full service, contract pollination provider. Value-added products from the hive are available by special request. Terrible Creek Beekeepers will be sampling local honey to Neomonde patrons during the event. You do not want to miss this Foodie event! You will have the opportunity to discover Middle Eastern food and culture. 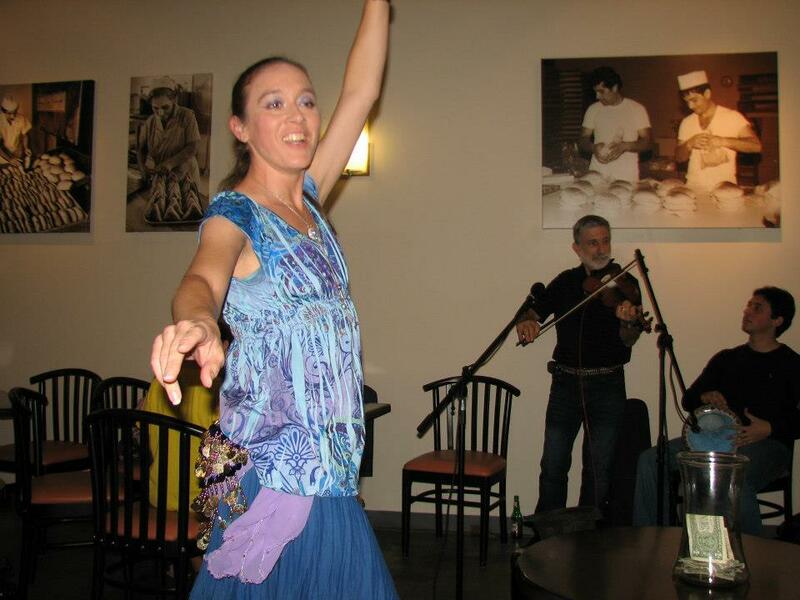 Where else can you learn how to dance while enjoying fresh baked pita bread and hummus? 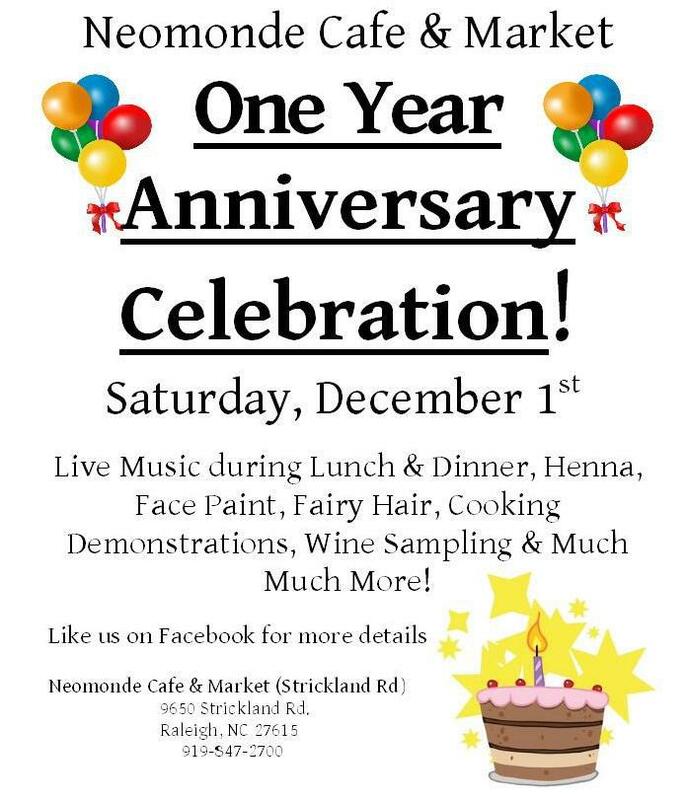 Join and share Neomonde Café and Market’s One Year Anniversary Celebration on Facebook. I hope to see you on December 1!